American DJ Quad Phase GO DJParts - All Variety of Parts that DJ Needs. American DJ's Quad Phase is designed to fill a room and dazzle a crowd with it's 160 razor sharp beams of light. 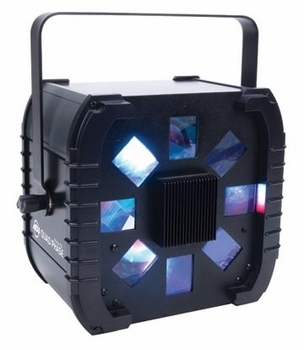 This technologically advanced moonflower features a homogenized 10W 4-in-1 quad color LED source (RGBW).